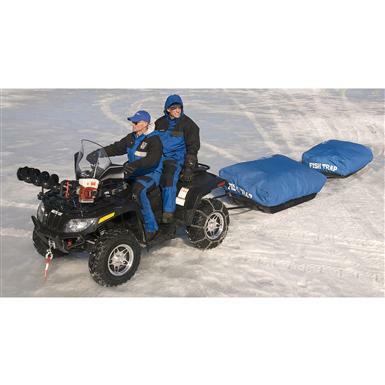 Protect your ice fishing gear. Your ice fishing gear helps protect you... return the favor right here! Frigid temperatures and harsh environments are the name of the game when it comes to ice fishing expeditions, making protective gear very important. But what's protecting your gear when your gear's not protecting you? Extend the life of your Voyager model Fish Trap® Shelter with this handy Cover. It fits like a glove over the base, shielding the whole assembly from the elements. Protect your gear so it can protect you!